This stunner of a eternity band has such an amazing color and clarity! 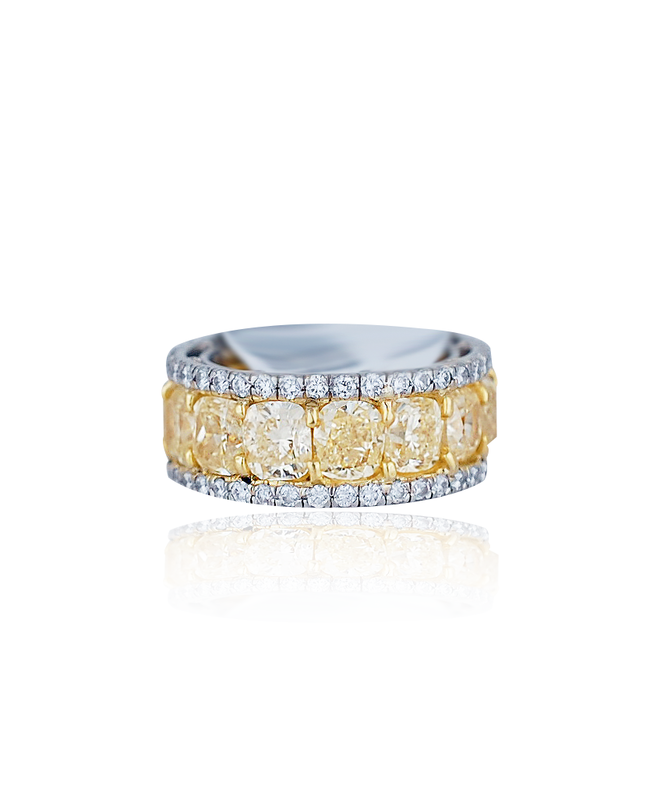 This eternity diamond band has over 6 carats of fancy yellow cushion cut diamonds accented by two rows of nearly one carat of white collection good diamonds. The ring is cast from 18k yellow gold and platinum. This ring and many others like it can be found at our Newport Beach location north of Laguna Beach and Corona Del Mar and west of Costa Mesa.